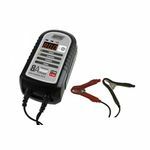 Platinum 685L Deep Cycle Leisure Battery 12Volt 75Ah (685) from County Battery Services. The Platinum 685L Deep Cycle Leisure Battery 12Volt 75Ah (685) is caravan battery and is popular in leisure and caravan market today offering 75 Ah capacity. 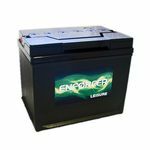 This battery is designed to use in all types of caravans, motorhomes and camping applications along with marine as well. This is a low maintenance battery which provides a low water loss design. Top marks for customer service and service recovery. Ordered a battery but the box must have been mis-handled en-route because acid had leaked, meaning the base of the box and there was liquid inside the plastic bag that contained the battery. Reported by phone (which was picked up by a person, which was nice!). County Battery called back promptly and were very helpful both with disposal of the battery and they sent a new one which arrived next day.